After Realism? Asking for an Audience’s Empathy. Three Plays at FIND 2018. When I go to commercial theatre, or to a mainstream film, I often come out deflated, manipulated. Too often, I am exhausted by dramatic universes that are hyper-realistic, with which I am commanded to identify and empathise. Productions of the Sundance-festival school are exemplars of this American naturalism, with an Indie soundtrack thrown in. Meryl Streep might think it’s the great gift of actors in Hollywood and on Broadway to teach empathy in the age of Trump. But for many of us, irradiated by the experience of Brecht, and the subsequent tradition in German-speaking theatre, there is a habitual recoil when we suspect the heart-strings are being pulled, or when enemies suddenly become friends, no matter how good the cause. When there’s even a sniff of redemption, the inner Adorno awakes, as if to a deafening alarm clock. Yet, we have the opportunity, at the FIND festival at the Schaubühne, to engage with more nuanced international perspectives. And the ones on offer are arguably more flexible than their hardnosed Berlin counterparts, as they engage with these classic problems in theatre: to what extent to evoke empathy and complicity in theatre, as opposed to distancing? When to create works that are mimetic as opposed to symbolic? And are we most effectively drawn into political engagement with the pressing concerns in European life when our sympathies are engaged? Ntando Cele’s »BLACK OFF«, (from South Africa, but based in Switzerland), Caroline Guiela Nguyen’s »SAIGON« (weaving stories from Vietnam and France), and Simon Stone’s »Ibsen Huis« (a production from the Netherlands), all create dramatic worlds that are well aware of these debates. Ntando Cele, a South African performer and director of »BLACK OFF« at this year’s FIND, tells me that, »Black women on stage are mostly viewed from an exotic point of view, as far as I’ve experienced in Europe. Look at them dancing! Oh, they are beautiful; they move so well. Rhythmically, they are so good. Rhythm is in their blood. I was so aware of the stereotypes of the black person in the performance space that I first rejected any kind of movement on stage. But now I can sort of take it on and off. I’ve learned to play with these stereotypes, or just ignore them altogether«. Cele is well known for her piece »Face Off«, which elaborated such insecurities: what she describes as her discomfort inside her own skin as a black woman moving around public space in Europe. She was living in Holland at the time and needed an idiom that would reach her audience, and so she decided on humour. But while »Face Off« was »very gentle, soft, kind, in and out of being apologetic, saying »we are all the same«… »BLACK OFF« developed as a more aggressive reaction«. »I’m aware people don’t want me feeling sorry for myself, to treat myself as a victim when I talk about prejudice and racism. I want to implicate everyone in the room. »BLACK OFF« aggressively confronts you, and the stand-up comedy is more crass; it grabs at you. I try not to be too pessimistic about where everything is going politically. Because it also scares me a little bit. But I think it’s already a good start that we are here right now, together, and confronting what we cannot talk about«. »And do you play yourself on stage?« I ask. »The intention is to show a part of myself in a certain way«, she replies, »There’s a thin line between who I really am and who I present. There are moments of beauty, but also aggressive, hurtful moments. We are in this theatre together, and somehow being in this room implicates us in a way. You come in and sit, the lights dim, there’s a manipulation of sharing time and space. And if you laugh at something, someone will hear you. I play also with that. This thin line one feels in the work most of the time. I think the audience should come pretty open-minded and easy. And not take themselves too seriously. My idea is: let’s have fun together«. I am fascinated by the processes by which Cele confronts her audience. She takes the mechanics of everyday racism and experiments with them in the theatre space. She considers her experience of being critically observed – as something exotic, different – and then places herself dramatically in front of a crowd. And then we – trapped in our seats – have the gaze turned back on us. Isn’t what she is asking of us is to discard the distancing effect, and stop thinking of what we see on stage as strange, and embrace instead a more sympathetic and empathic attitude towards this mimetic »part of herself«? Is not this disruption of a distanced – and hence stereotyped and reductive, even racist – view necessary for the understanding she demands? 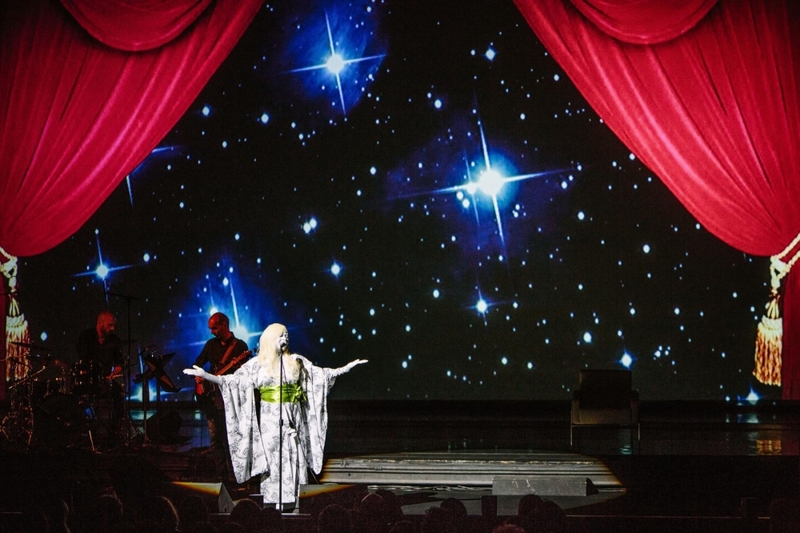 Aren’t we asked to make a connection with the breathing living person on stage, a political bond forged between actor and audience? Caroline Guiela Nguyen was born in France, in 1981, twenty-five years after her Vietnamese mother arrived in the »metropole«, in 1956, two years after France formally lost its territories in Indochina. Nguyen interrogates in her work, »SAIGON«, to what extent France today includes these overseas origins in its story of belonging. »In France, there is an absence of bodies and histories of difference. And I wished to include these communities of people on the territory of today’s France. To listen to them again, that noise with which I grew up, of French people who have Vietnamese origins«, Nguyen tells me. That noise comes from a Vietnamese restaurant in Paris’s 12th arrondissement. It is reconstructed on-stage, with its tourbillon of customers, cooks, staff, and their stories. It’s a theatrical and collective space, but also one for shared intimacies. »A familiar space«, Nguyen tells me, »That everybody knows, but nobody knows«. 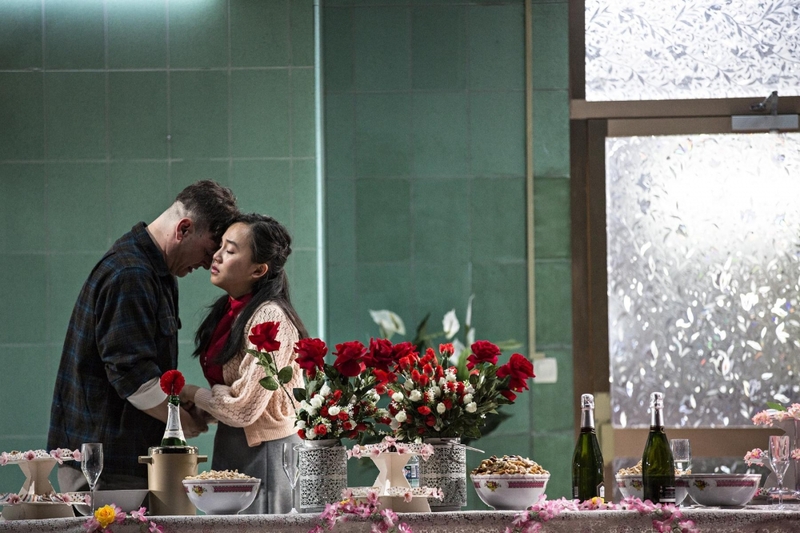 She chose actors who came from vastly different origins to fill it: seasoned professionals play across from a cook who worked for 25 years herself in a Vietnamese restaurant in Paris. Speaking of a Vietnamese-French community as a hyphenated identity, however, is a minefield in France. It goes very much against the grain of French republicanism, and its emphasis on a single civic identity. Nguyen is careful to say that she speaks »neither of identity nor of community. I wish to tell the histories of individuals and ask individual questions: a woman who cooks, a man who sings, but also the French guests in the restaurant, who mix together on stage, who make themselves present and, in the moment, form a community of pain, for whom it is painful to speak«. »We have succeeded in this because the point of departure was not a subject, such as colonialism, or identity. We arrived at our destination because we started from beings and histories. There is no subject underlying this. I was not there to settle my accounts with colonial France, or the question of identity, but I wanted and needed to represent people who are not represented«. I am tempted to expect not only hyper-particularism but also hyper-naturalism in this production. So often – in, say, films about subaltern France, such as »La Haine« or »Entre les murs« – the two go together. But what is peculiar about »SAIGON« is that these two categories are decoupled. As Nguyen tells me, »Something important for us was that our spectacle not enter into specific realities but remain a fiction. It was important to fight for this imaginary. We do this, for example, in the restaurant through sound and light, flashy colours, songs that are very kitschy. One is often tempted to speak in a certain way of the disadvantaged, to consider them only in the suburbs and in the projects; to depict these as gritty, ugly places. But isn’t the fictionalising imagination also the right of those who inhabit this terrain? It’s new to tell these stories – of France’s others – in an imaginary way, as opposed to with brutish naturalism«. »When we made the piece, we were in the middle of the elections«, she explains, »And between us, it was really strong feeling, finally, that we had not won this battle. But we felt we nonetheless needed to fight it to the end, to recuperate a history of France. Against an identitarian position, that in France is very strong, and shows a lack of imagination on the part of certain people, people who think that someone of Vietnamese origin will always remain an immigrant, with no history. To tell a different story to them is already something very important. The theatre public in France is more moderate politically, but we were surprised that nonetheless much of the public left the performance remarking: I didn’t know that history. Lacunas in understanding aren’t reserved for those who vote Front National. In fact, the misunderstanding, and lack of imagination, that inspires the FN, has contaminated many more people«. Australian director Simon Stone is walking through a New York street as he speaks to me by phone. I can hear ambulances and passing crowds. 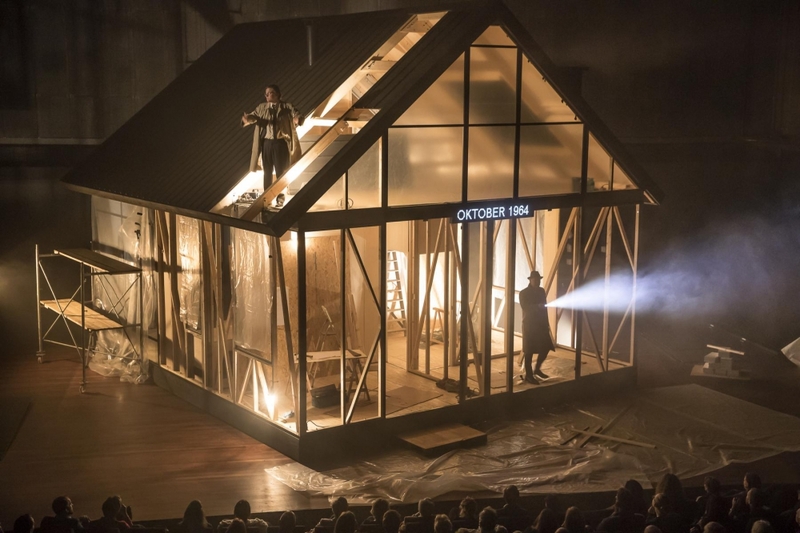 There is the hint of an emergency; but he chats calmly, intimately, about what is taking place inside a modernist glass house, »Ibsen Huis«, that occupies centre stage in his production coming to FIND. Stone has a »thing« for Ibsen. His recent film, »The Daughter«, is based on Ibsen. He produced the »Lonely Child« based on »Little Eyolf« with the Hayloft Project. And »Ibsen Huis« grafts together themes and scenes from Ibsen plays. As he puts it, »Ibsen invented the dramaturgy of modern middle-class life. At the time, it was a revolution to examine an average family with the same focus as the aristocrats who – for the Greeks or Shakespeare – were the ones lofty enough to aspire to. We don’t need to aspire, said Ibsen, but reflect on who they are. That was revolutionary«. »Nowadays, I’m interested in how this idea today has developed into the autocracy of the banal, of the middle class and mainstream, and been responsible for a disturbing shift in American and English-speaking theatre: to show a unremarkable stories, to the extent that people who go to the theatre, to a Broadway show, are very disappointed to see just a realistic room on stage. We need to question how Ibsen’s radical idea – that any story could be epic – can be aestheticised«. Stone’s aestheticisation happens in a modular house, a kit home that could be assembled anywhere, based on the work of famous Danish and Dutch designers of the 50s and 60s. He explains that »There are versions of this house everywhere, built in various countries in the world, and often furnished exactly as they were in the 60s. You can’t escape the past in a holiday house. On a family holiday, one notices the same board game around that your grandparents bought years ago. We renovate our other houses, we get irritated when they are old, but these intermittent locations remain testaments to the things that have happened there. They can evoke traumatic or nostalgic connections when we go to them. This is what I was looking for in the topos of this play: a place where memories come back«. I remark – thinking about memories and repressed traumas – that a glass house might be one where it is difficult to keep secrets. And that, as the adage goes, people in glass houses shouldn’t throw stones. And Stone replies that his is a »performance of openness. Of course, the audience says I want to live in this beautiful modernist space, full of windows. But, really, you don’t want to live in this place if there is trauma is going on it and everyone can see inside. You want it when there’s happiness in your life. But not when you are unhappy. Then, you plaster the glass and hide yourself from everyone to have your private moments of grief. Architecturally, you notice that there’s an oppression to being on show«. The oppression is a family trauma – involving themes as difficult as paedophilia – and Stone explains how he reaches out also to political ramifications, because: »in Ibsen it is that trauma, that Freudian analysis of the repressed coming back to life, that threatens to operate on us on a very large scale … on our shores, and our borders. Our society can become the repressive family, and our actions come back to haunt us. There’s a connection between macro and micro. Ibsen had a dramaturgy that was capable of talking about this«. »Ibsen Huis«, meanwhile, has a non-linear narrative structure, and I ask Stone about this choice. I sometimes feel that such modernist innovations in narration have been left by the wayside. But Stone tells me that he thinks audiences like unpredictable narrative formats, as proved by the popularity of streaming television that employs them. He continues, more expansively: »Stories became unfashionable in the German-speaking theatre, because to a certain extent, there was overexposure, in such an incredibly well-funded and thriving theatre scene. When you saw ten Hamlets a year, there was pressure on people to make interpretation more important than story. I think that’s the most ground-breaking moment in theatre history, is what happened in the German-speaking world: the changed semantics of seeing a piece of theatre. It is a change that has gone as far as New York. If a work is distancing, it’s no longer seen as weird. It’s no longer that audiences don’t want to engage with it. Someone had to put a crack in the huge and very strong wall of American 20th-century realism, which has become the house style everywhere. That’s fantastic. But we have kind of won that battle now. I feel if we could make the stories as complicated as the interpretation that would great. That’s what I’m interested in pursuing at the moment: having as much going on with storytelling as is going on in other storytelling art-forms«. And perhaps, in a nutshell, Stone has described for us what all these productions are trying to do, as they respond to the arguable wreckage of American realism and stranglehold of Brechtian distancing. It shows the openness to different techniques, as one makes hard choices on stage: how much of this world to depict? How might interpretation render it strange? How much should we engage our audience by eliciting their empathy? What is the role of storytelling in this enterprise? What combination of these tools is the most subtle to engage us in our political obligations? What I anticipate in all these productions coming to FIND is a mixing up of the toolbox; a breaking from ideological structures of how one should do theatre. In short, a renewed sense of freedom to explore – of play – as theatre looks forward.